At eSpark Learning, we want to reimagine classrooms so that they’re student-centered, allowing students to succeed in school and in life. I’m really proud of our product that we have today, shaped in large part by the school districts we’ve partnered with over the years. The trajectory of eSpark Learning has been marked by what I like to call “magic moments,” instances in which fearless educators and administrators have aligned with our team to work towards a vision in which every student, regardless of circumstance or background, has the opportunity to set and realize an ambitious dream. Having just celebrated our company’s sixth anniversary, I reflected on a few of the magic moments that have pushed us to where we are today and exemplify the grit, innovation, and healthy skepticism of the district leaders we work with. This Long Island district was one of our first partners. For the past six years, district Superintendent Dr. Michael Nagler has championed and thoughtfully questioned our strategy for meeting the needs of every learner. Over 1,000 Mineola elementary school students are using eSpark in four buildings throughout the district, while a team of Mineola middle schoolers helped us build new product features to better engage and challenge students. Mineola has demonstrated how personalized learning can prevent summer learning loss, implementing eSpark in summer school classrooms with fantastic results. Dr. Nagler has pushed us to innovate and provided us with the inspiration for Frontier, a new platform that nurtures creativity, critical thinking, and collaboration with creative projects about topics students chose and love. 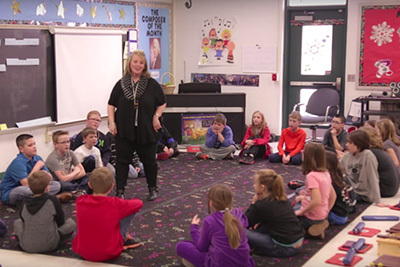 Under the leadership of Superintendent Dr. Christine Johns, Utica Community Schools saw the lasting impact that using purposeful technology with fidelity can have on student achievement and engagement. Committed to transforming every K-2 classroom in her district, Dr. Johns worked with eSpark to ensure that teachers received the support and professional development they needed to successfully transition to student-centered learning and adjust to new technology. By building a culture of teacher buy-in, Dr. Johns led a successful launch that put over 1,500 students on track for college that wouldn’t have been otherwise. When we first partnered with CPS’ groundbreaking Walt Disney Magnet School, we were so excited that we asked to move in. While Principal Dr. Kathy Hagstrom kindly declined our request to move our offices next to hers, she's allowed our product team to visit classrooms twice a week to observe eSpark in action and receive student feedback on product updates and new features. Successfully obtaining the resources and infrastructure needed to launch tech tools in a notoriously large and complex district, Dr. Hagstrom has exemplified the true meaning of grit and shown our team that no challenge is too great when student learning is on the line. Matt Akin was a visionary early adopter of classroom technology when he deployed iPads throughout his district in 2003, long before edtech was the norm. Piedmont partnered with us to differentiate instruction for 300 students, and Piedmont students who are using eSpark have grown an average of 13 percentile points on national assessments in 2014. 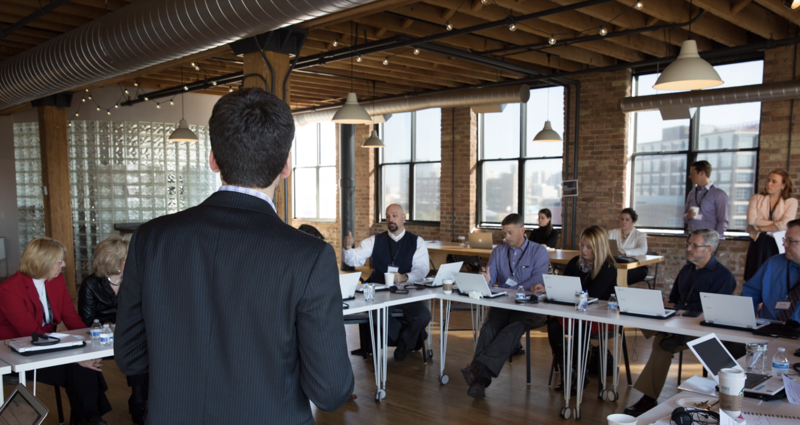 Under Matt Akin’s guidance, we’ve honed our ability to launch and support rural and remote districts from our office in Chicago. Located in rural Alabama, Piedmont opted for a hands-off launch in which the district tech team got students up and running on eSpark with the help of our implementation team’s virtual coaching and Piedmont’s incredible tech infrastructure. This approach allowed us to streamline the launch process and scale the number of rural and remote school districts we serve. The future of public education can be found at Elizabeth Forward. Superintendent Dr. Bart Rocco and Assistant Superintendent Dr. Todd Keruskin have so fully reimagined learning that hundreds of curious visitors from districts around the world flock to their classrooms each year. 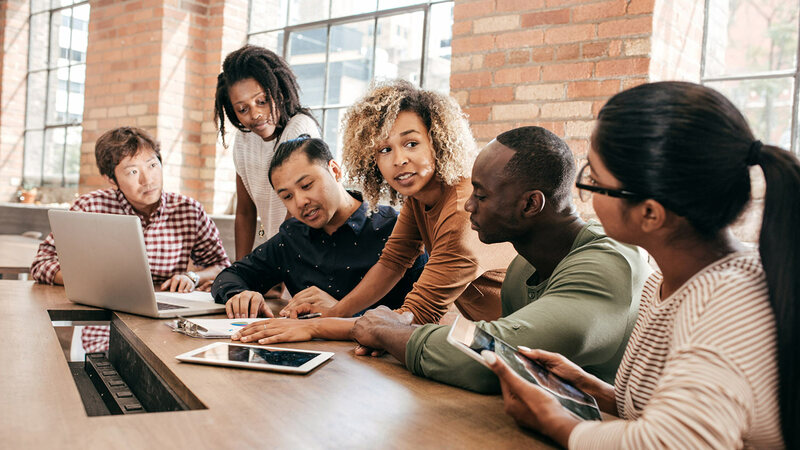 Leaders at Elizabeth Forward have weighed in on White House summits, transformed libraries into makerspaces, and organized trips to local museums, tech companies, and universities. The district’s culture of innovation pays off. Students grew an unprecedented 25 percentile points on the NWEA MAP during the district’s 2014 pilot of eSpark, but perhaps even more impressively, students at Elizabeth Forward are genuinely excited to learn. The district’s innovation is inspiring and motivates our team to create learning experiences that extend beyond classroom walls. 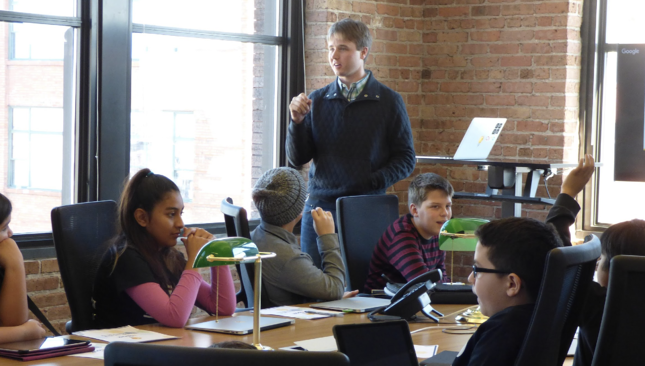 Before they even partnered with eSpark, Berwyn South sent 100 elementary school students to our Chicago office to learn about entrepreneurship and how to start a business. This willingness to think outside of traditional instruction and dedication to authentic learning experiences previewed Berwyn South’s immense impact on eSpark. Since her district partnered with us last year, Principal and Director of Language Acquisition Bea Maldonado has helped design, test, and shape eSpark eSpañol, a new platform that bilingual and dual language students can use to learn essential math and ELA standards in their home language at their own pace. 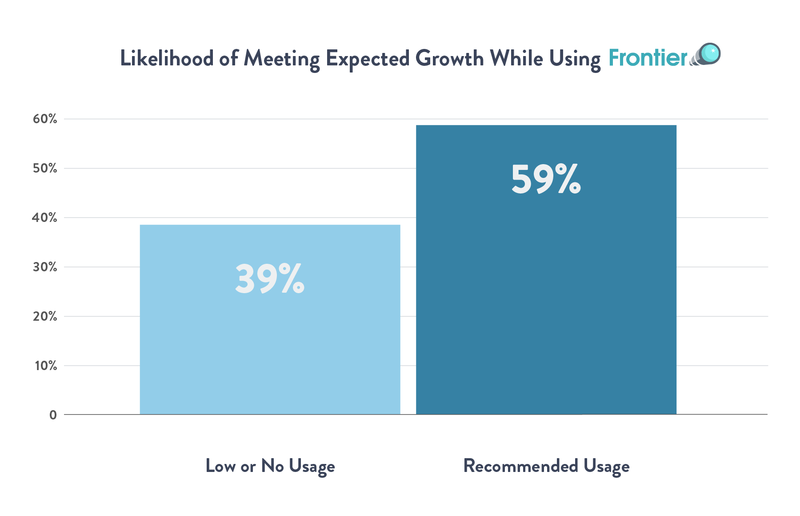 As one of the first districts to use Frontier, Fremont School District actively shaped the platform that districts use today. During the 2015-2016 school year, Director of Curriculum Dr. Elizabeth Freeman allowed our product team to beta test our streamlined approach to creative digital projects in Fremont’s fourth grade classrooms, encouraging our team to prioritize student choice and voice. The fourth graders at Fremont asked for and evaluated Frontier’s peer feedback feature, shaping it into what Frontier students use today and ensuring that Frontier is both student-centered and student-designed. 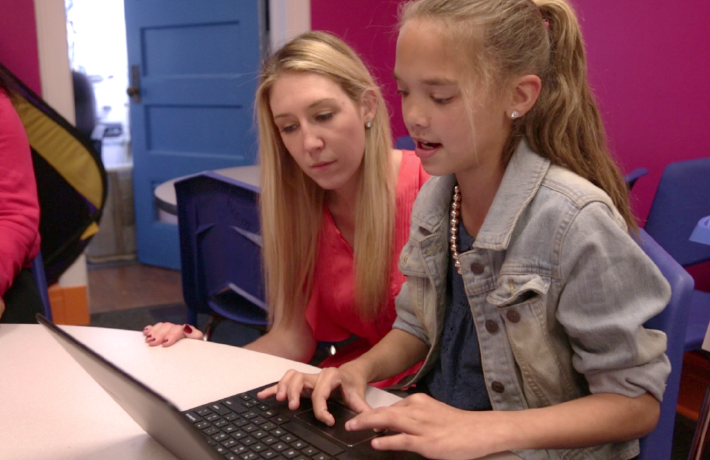 At eSpark Learning, we make tools that empower teachers and delight students. When district leaders work alongside our team of engineers, data scientists, and personalized learning experts, we’re able to challenge existing achievement gaps and support all students in achieving dreams of college, creativity, and careers.